Developed over 70 years ago, Sudocrem is the market leader in the nappy rash sector. 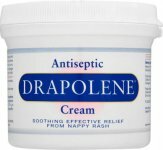 Nappy rash can be a cause of unhappy, crying babies, with as many as one in four babies suffering from the condition at one time or another. Sudocrem is a clinically proven treatment for nappy rash, which helps soothe, heal and protect your baby's delicate skin. Firstly, Sudocrem is made up in a base with water-repellent properties which form a protective barrier, therefore helping to stop any irritants (urine and stools) coming into contact with the skin. 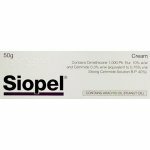 In addition, the emollient effect can help to soothe sore inflamed skin whilst leaving the skin feeling soft. Sudocrem can ease the pain and irritation of nappy rash, whilst other ingredients can help to heal the skin. 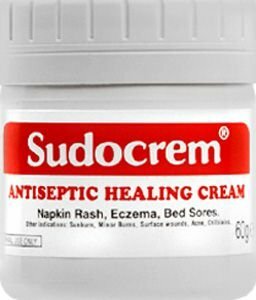 Although Sudocrem is the market leader in the nappy rash sector, it can also be used for other skin conditions as a soothing, protective antiseptic cream. Gentle but effective, it won't sting on application. Sudocrem's formulation helps to reduce the risk of infection and contains a mild local anaesthetic to soothe the pain. 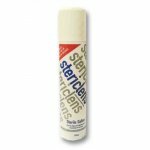 In addition, it helps a wound to heal and forms a protective barrier over the vulnerable area. Sudocrem is available in four sizes of tub plus a 30g tube, ideal for you to take away with you on holiday or family outings. Elderly skin is thinner and less resilient, more easily damaged and slower to heal than that of a younger person. Elderly people, especially those with limited mobility or those who are bed or chair based, may have special skin care needs. Skin complaints such as incontinence dermatitis and pressure sores can be distressing,both for the sufferer and friends or relatives who are involved in their care and wellbeing. However, there is much that can be done to help. 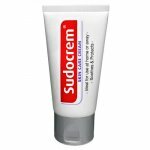 As a tried and tested antiseptic healing cream, Sudocrem can also be used to treat the development of these skin problems. The general rule is to use a small amount and apply in a thin layer. Massage in small circular movements until the Sudocrem has disappeared leaving a translucent film. If this does not cover the affected area apply a little more. However, if the area stays white after application, too much has been applied.